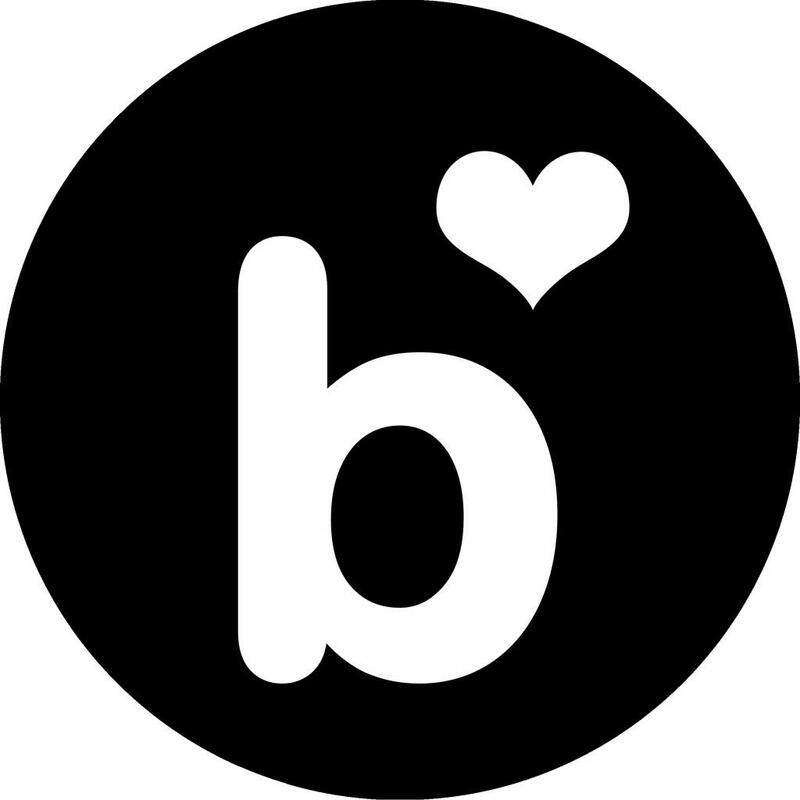 The first change, in the summer of 2016, added tons of extra interior decoration hooks. This was a much needed change and turned around my stance towards LOTRO housing entirely. Before, there were so few hooks that I had to be very selective with what to put in my house. It also looked very empty, because there was lots of space but not much stuff. So what I did is I bought the smallest house (which looked less empty) and used the decorations I thought looked best - and never looked back. I always thought it was such a shame because there were so many cool decorations from quests, from instances and from festivals, but I never had space to use them, so I ignored them for years. And when I say years, I mean like eight years long. Nothing had been changed to the housing system since its initial implementation, so the majority of players had given up on it ever getting any attention (despite continuous hints from the player base). So while some extra hooks doesn't sound like much, the effect was actually huge. Housing in LOTRO was all of a sudden hot! Inspired by this sudden resurgence of playing housing, the developers added a new housing neighbourhood in Gondor later in the year. Players loved it. 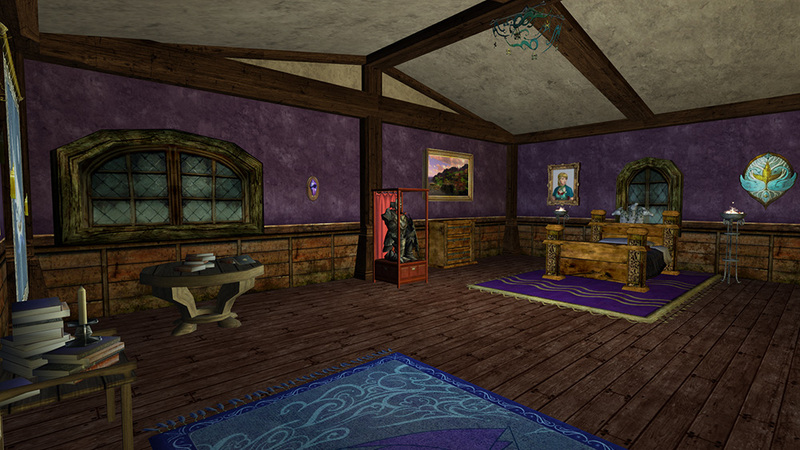 The Gondorian player houses are reportedly huge and have tons of hooks, but they do cost real money to buy. This is one of the reasons I didn't buy one (and blog about it); the other being that I don't like the old stone texture they feature. If, however, a new housing area in Rohan would be added, I would probably cave and spend the money. 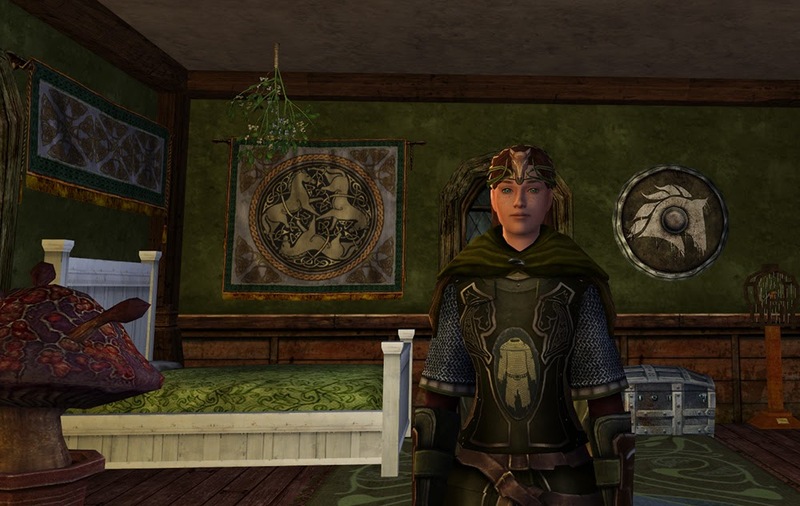 Houses in Rohan would probably be made of wood, of which the texture looks better, and there are tons of pretty looking Rohirric housing decorations available, most of which I already use in my current house in Bree-land. Whoa, Middle-earth disco mode engaged! The first thing that stood out to me were all the different colours. Before, all hooks were just white. The colours definitely make it easier to identify what type of decoration goes in what hook: green is for thin, white for small and red for large furniture; turquoise is for floor tiles and small wall hooks; dark blue for huge floor tiles and large wall hooks. But there were more changes. In the decorations window, three more sliders have appeared (see the picture above). Before, there was just one slider that would rotate objects. You could not move decorations around; they were stationary. 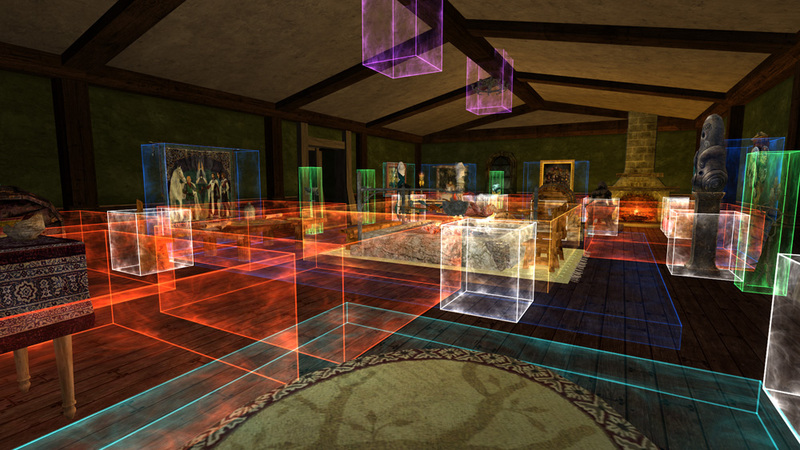 Now, however, you can move decorations around in the room and the maximum distance is insane. You can literally move furniture from one side of the house to the other. But that's not the best part: it's not just moving things around in 2D, it's 3D. 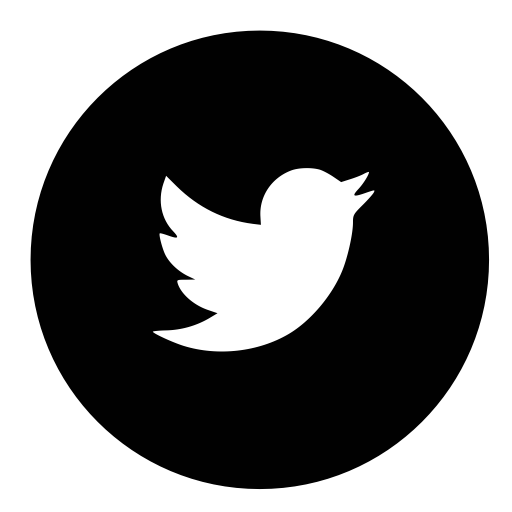 The bottom slider moves objects vertically, without any restrictions. This is a very brave decision of the developers. Since the slider works for all decorations, players can move all objects wherever they want: they can even let chairs float into the air (see the picture above). Even though this means lore inappropriate houses will exist, the developers decided they wanted to offer players complete, unrestricted freedom in how they decorate their house, and I think that's cool. For what it's worth: from what I've seen most people grow bored of floating furniture after a while; most houses I've visited look non gravity defying. 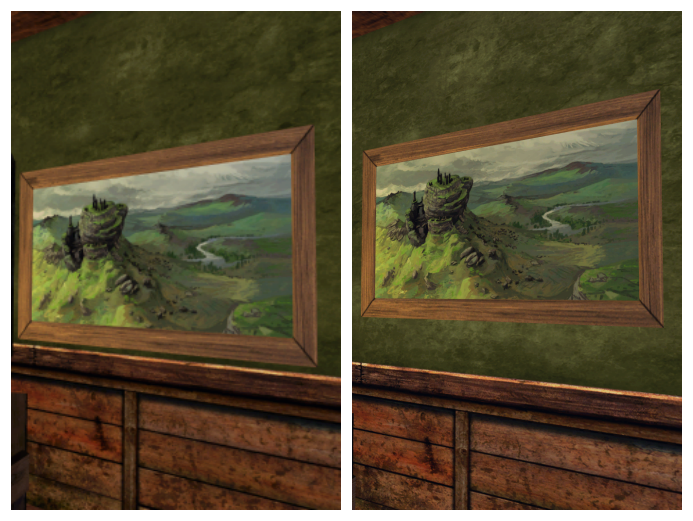 The vertical slider allowed me to correct something that had been bothering me for a while: the position of paintings on the wall (I'm a perfectionist, can you tell?). Paintings always hung really low, the frame almost hitting the wood below. It didn't look good, but there was nothing you could do about it. So one of the first things I did was going through all my paintings and move them upwards a bit with the new vertical slider! Here are some of the changes I made to my house. 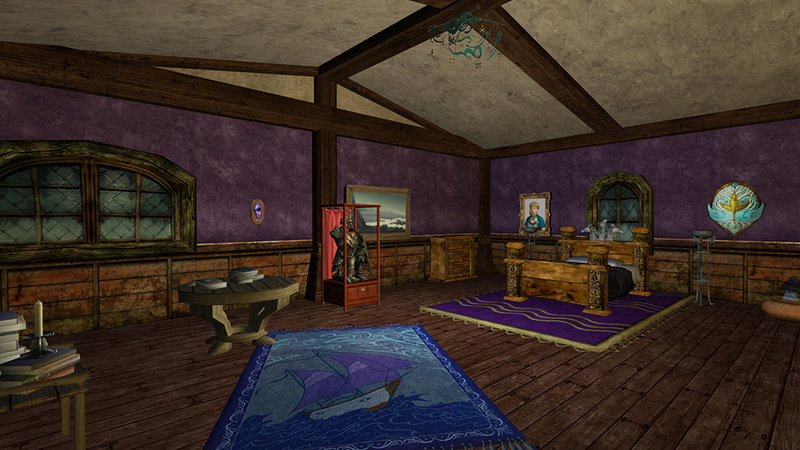 This room belongs to my shieldmaiden from Rohan: captain Ravenwyn. It features many horse themed decorations and the fresh colour green refers to nature. She even collected some mistletoe and hung it on the ceiling. I only changed and added a couple of decorations (most of which are to the left and right back of the screenshot so you can't see them), so it's mostly changes to details. If you look closely, you'll notice that the tapestries hang a bit higher, the furniture stands closer to the wall and the mistletoe hangs above the bed. This is the room of lore-master Ravanel, Elf and historian. 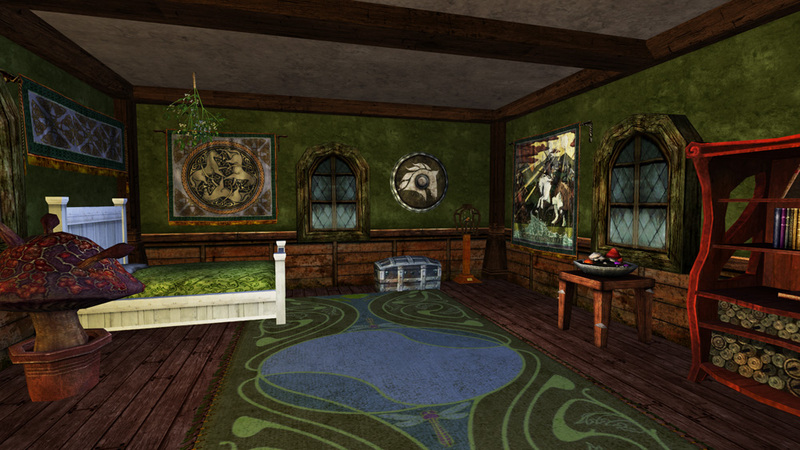 The sea theme and art in general caters to her Elven heritage, while she uses the books professionally. I went for a blue and purple colour scheme. Again, I've mostly changed the position of decorations. The room looks tidier and more logical this way. Although it also looks a bit more empty. I guess we could still do with some extra decoration hooks (for instance so I could add a chair to that table) - all in this room are filled. This is the main room of my house. Each corner holds memories of places in Middle-earth my characters have visited. It's quite challenging to take a good overview picture of the main room, as it's so large. But this is the room I changed most in. In the middle is the huge fireplace, which now has seats on all four sides rather than on two. The rug underneath it (who has a rug under a fireplace?) has been moved to the Gondorian study area at the back of the room. The hearth has been transformed into a cosy hangout. This corner refers to my characters' time with the Rangers. This is where Ravenwyn plans her travels through Rohan. I finally was able to have all my kegs displayed together in one corner of the house! 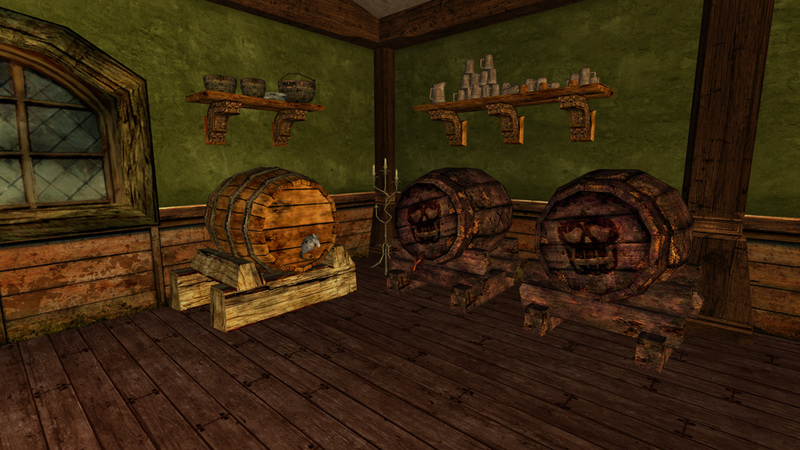 Drinking from the skull faced kegs (Inn League and Moria) will port you to hilarious places in Middle-earth. Now I just need to find the perfect table with food that fits on a large hook and the dinner corner would be done. For now, you can just get very, very drunk in Casa Ravanel. As you may have guessed from reading this article, I'm really, really happy with these changes! It's awesome that LOTRO's designers have decided to give players absolute freedom, and the range of sliders is huge: as large as the house itself. This allows you to arrange decorations exactly as they want, making your house feel logical and truly a home when moving through it. Of course there's always room for improvement. We could still use some more hooks. Gardens still have very few hooks and the interior looks more empty than before now you can position furniture with its back to the walls (like you would in reality). And we could use more housing items for thin and small furniture hooks. Some decorations that require large hooks are very small - see the picture above: does that tiny table with artifacts really need a large furniture hook (right now, it does)? Finally, I would love a key system that allows friends to instantly travel to your house. These are all minor things, though. Overall, I'm very happy with all the changes that have been made to LOTRO housing over the course of this and last year. After nine years of vanilla housing I honestly never expected anything to change, but I'm glad I was wrong! 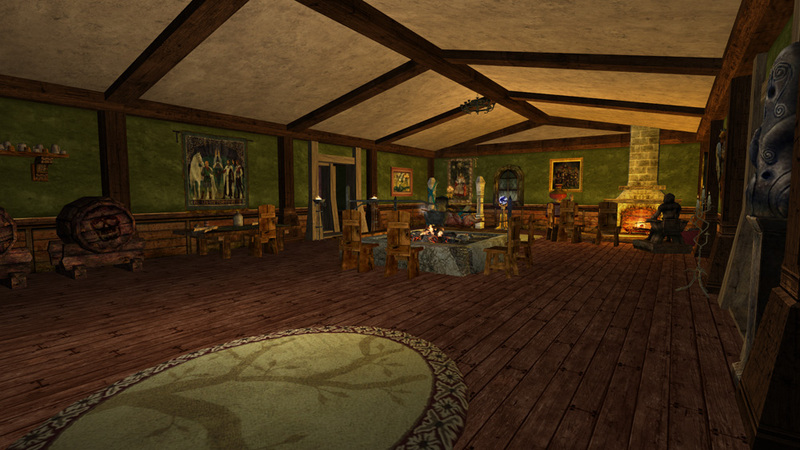 What do you think of LOTRO's housing updates? It certainly looks like an improvement, although it falls very far short of the real freedom of a hookless system, the joy of which isn't just placement but also construction. Still, after eight years it's amazing to see any changes at all. I'd quite like to revisit LotRO but it'll have to go on a long list of MMOs like that. Better housing is certainly an incentive though. I agree, you can never have enough build freedom as a player. 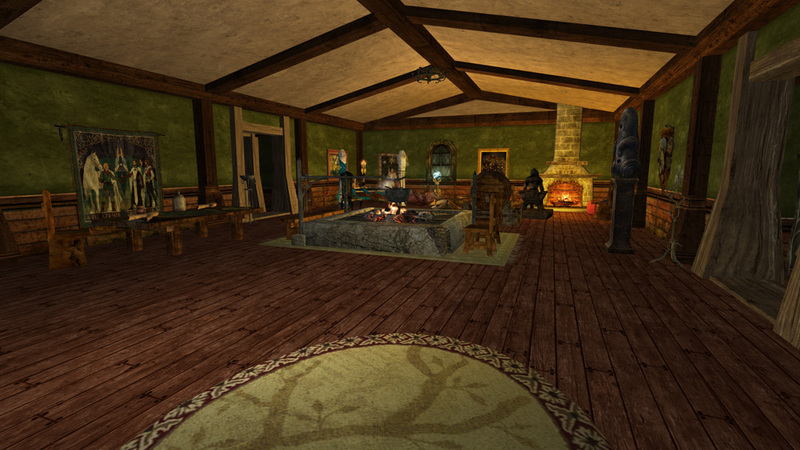 As a side activity, I think LOTRO housing does really well, though. 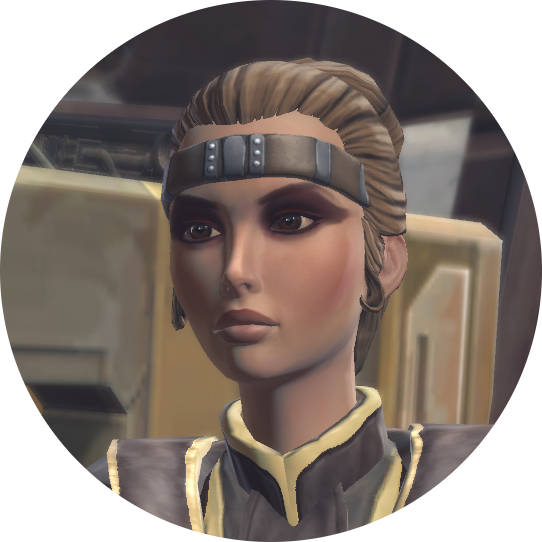 Some aspects are even more versatile than SWTOR's stronghold system (which I absolutely adore). I really didn't expect that! If I would recommend LOTRO for anything, though, it wouldn't be so much for the housing (although it's quite good now), but for its landscape. The landscapes have really aged well, and especially the later areas (Rohan etc) are absolutely stunning. To me they are more immersive even than GW2. I agree completely! 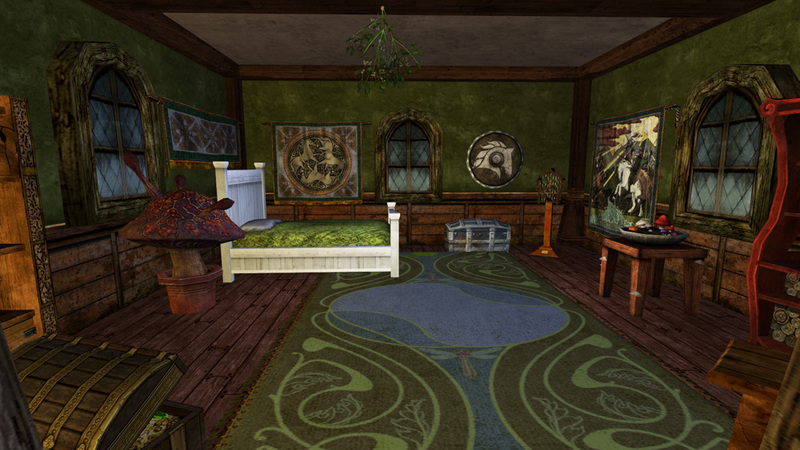 Also, if I may ask, what are the tapestries in Ravenwyn's room and the main room, where from? Good work, it's all looking quite awesome! Add "Item:" in front of the name if you put them into LOTRO-wiki's search box. That's a great point. Houses do feel much more personal now: it's not just what decorations you picked, but also how you put them together. I should really take an extensive tour through my neighbourhood one of these days. I get the feeling that LOTRO took some aspects of SWTOR's housing and added it to theirs --without expanding the houses to enormous sizes that you find in SWTOR, that is. That isn't a bad thing by any stretch, because I feel like these small quality of life changes to the game are things that WB/Turbine were probably told to not bother with too much, but these are things that keep a game fresh and interesting. What I mean by that are things such as blank graphics while loading the game --something that has been vexing me ever since I had to remove and reinstall the game years ago-- finally was fixed shortly after Standing Stone took over. And a few other bugs here and there, such as on rides from the 1st Hall to the 21st Hall, no longer occasionally get stuck in a permanent loop going up the main stairs. I don't really see many parallels between LOTRO's housing changes and SWTOR's housing myself, other than that both games offer a hook based system with multiple decoration categories by design. In SWTOR, you can change hooks type, which allows for more customization, but once a decoration is placed the amount of meters you can move it about horizontally is quite limited (especially for the larger decorations). 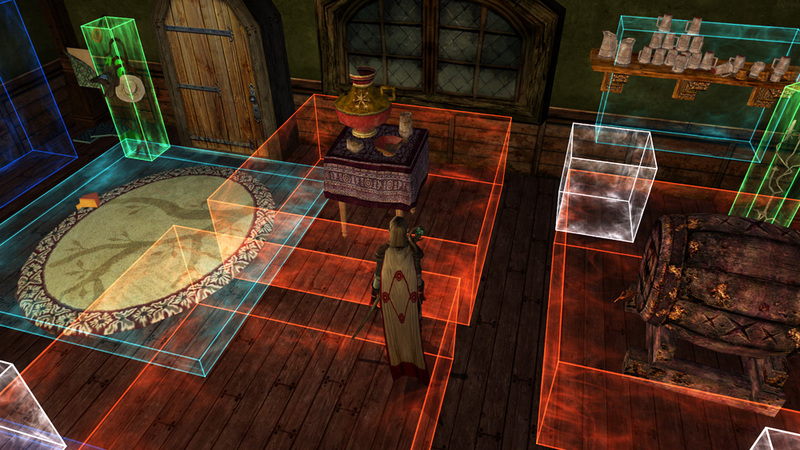 In LOTRO you can't change the hook types, but that doesn't really matter because you can place objects literally everywhere you want within the house because the max amount of meters is insanely large. In SWTOR, only decorations on walls can be moved vertically. 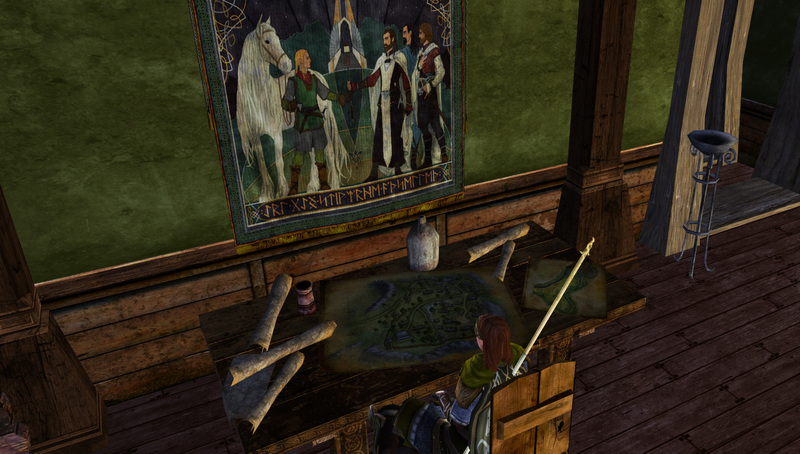 In LOTRO, all decorations can be moved vertically. This allows for more player creativity. For instance, if you feel your chairs are a bit too high for your hobbit characters, you could move the chairs down a bit through the floor. You don't see that it moves through, but all of a sudden the chairs now are correctly hobbit sized. So what I'm seeing is different approaches to identical problems. Both games have things they could learn from each other. We kave moved a few things around with the new system in our Belfalas (Gondor) houses - like the burners that looked more like fireplaces. We also found some additional outdoor hooks had been added. Thinking about the massive SWTOR strongholds, it would be good to move things vertically - although at one time their system was better than LOTRO's, personally. Now I like both, although I collect more objects in SWTOR. Neither system matches the one in Rift, where objects can be placed anywhere in the various Dimensions, you can build from scratch with pieces of timber or stone, move objects every way, change the sizes, and most clever of all, learn a skill that allows you to amalgamate multiple objects into one - from a dresser or bed, to an oven or barbecue grill. Rift sounds like a housing Valhalla. I would probably decorate the crap out of that if its world as a whole would appeal to me more. The size of SWTOR's strongholds and the fact that you can buy them with in-game money is a big plus, naturally. And they look better, but that's an age thing. But what I don't like so much is that most decorations come from RNG packs on The Cartel Market. I craft and sell stuff constantly so I can afford to buy (most of) what I want. 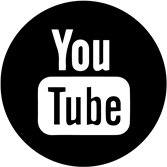 I watch the prices and buy at the right times. 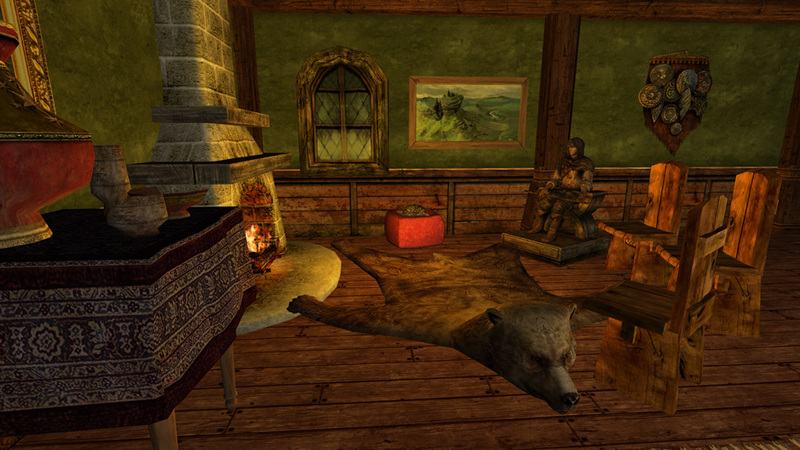 I enjoy the process of collecting decorations in LOTRO way more. I'm bummed that only LOTRO's premium houses for some extra exterior hooks. I double checked before posting and my garden In Bree-land still only had six slots or so. Which really isn't that much. Rift dimensions are bought with market money = real money, although the more you spend the more dimensions you get for free. As for objects, some are drops, some are rewards but most although they start cheap are in the market. You can also buy them with in-game money at the auction. The market store has a lot of items, unlike other games and building up cool dimensions is not a money-pit. Cheers for the info, Roland! Ha! And there I was teased for years by my kinnies, who thought it was a stupid reason to stick to the small house. I was not alone, yay! Only when the new slots were added I actually bought the deluxe version - but I agree that it still looks too empty, sadly. It was super hard for me to pick between the Shire and Bree-land for me. I eventually settled for Bree-land because my main characters were elves and men, but if my main would've been a hobbit I would've gone for the Shire for sure. I guess that's one of the upsides of playing on multiple servers! I hate the fact that many of the nice tapestries are not available till higher levels. Can we earn some another way? And also, I think we seriously need more tailor-made carpets, in all colors and sizes, for homes. Or somehow. After nearly 10 years of playing, those carpets are getting to look pretty stale. Those are some great ideas. I, for one, would love more craftable decorations! The oldest specimens definitely looks so much worse compared to the new stuff (and not just the carpets). It's a shame that the higher crafting tiers don't have any decoration recipes, even for traditional furniture makers such as woodworkers. It would be awesome if things like that would be added each time with the implementation of new tiers.